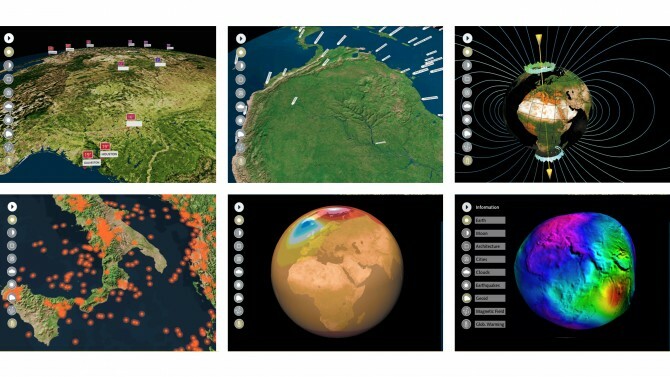 Terravision is a networked virtual representation of the earth based on satellite images, aerial shots, altitude data and architectural data. It serves as an environment to organise and access information spatially. 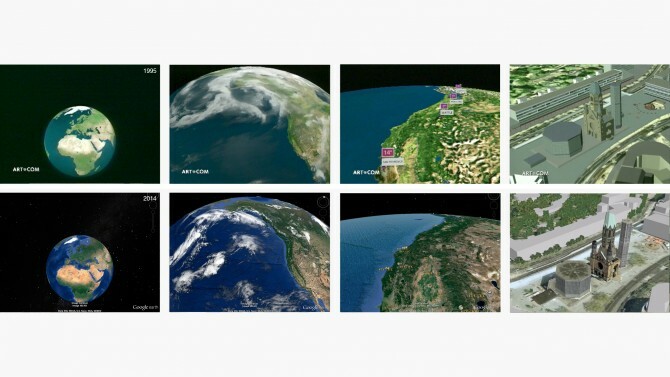 Users can navigate seamlessly from overviews of the earth to extremely detailed objects and buildings. 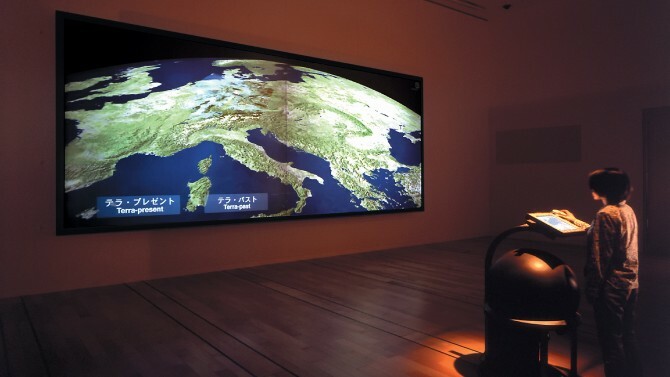 Additionally to the photorealistic representation of the earth, all kinds of spatial information-data are integrated. 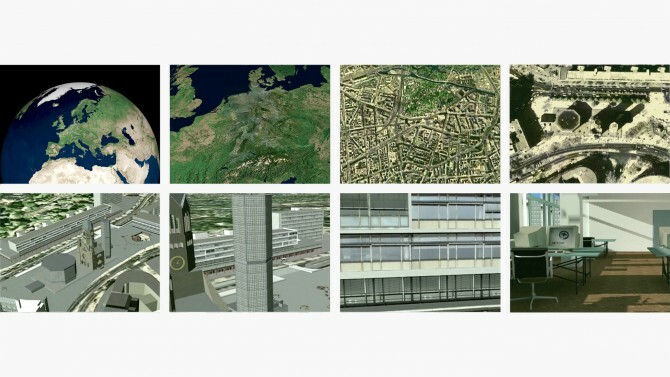 Even historical aerial shots and architectural data are offered in the system; this allows users to navigate not only spatially but also through time. All data are distributed and networked and are streamed into the system according to the user’s needs. 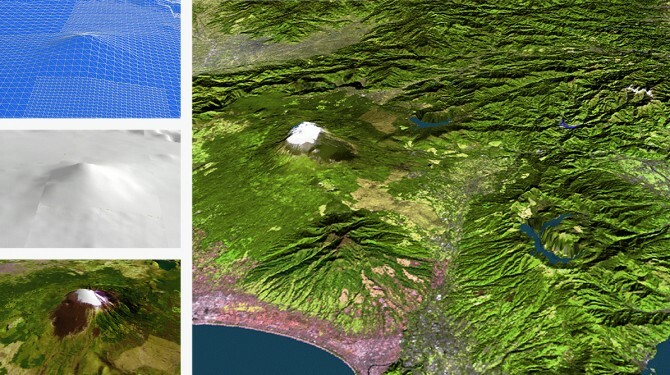 Terravision was the first system to provide a seamless navigation and visualisation in a massively large spatial data environment. 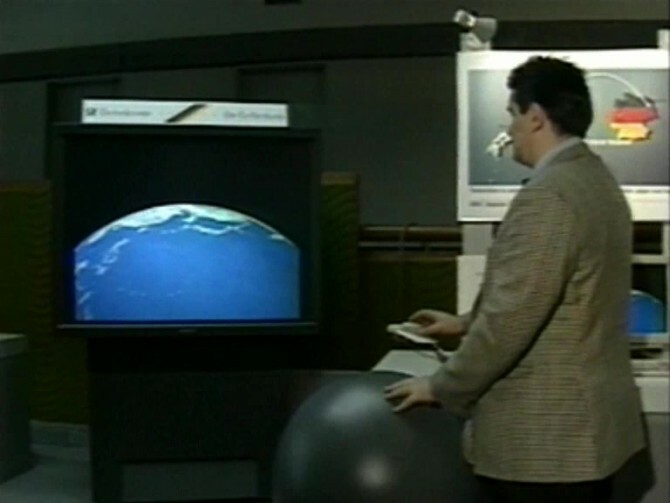 In order to navigate this data, three core components were created as an interface: a large sphere referencing the globe to pilot the planet; a 3D mouse to fly around; and a touch screen to interact with objects on the virtual earth. 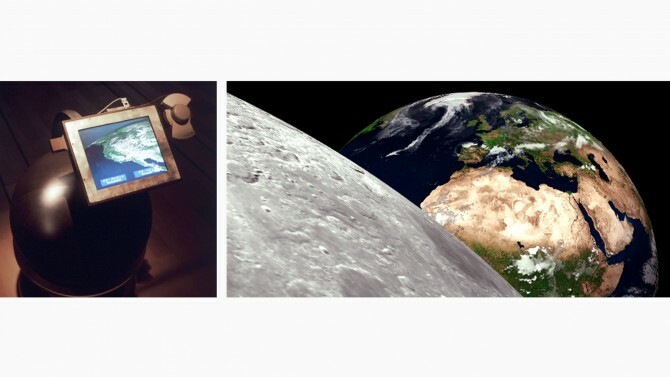 Terravision is an isochronous realisation of Neal Stephenson’s literary idea in the novel “Snow Crash” as well as a prequel to Google Earth. Deutsche Telekom Berkom GmbH supported the research project.